I went to a taster session for a baby sensory group, where in actual fact no one spoke to me. Not one Mum in the room. It got me thinking about how hard it is to make friends, not only as a mum but generally as we get older. It’s sad that I sat in a room where we all had at least two things in common. One, we all had babies under 6 months of age and second being that we were all Mums. None of the other Mums acknowledged the fact that I was sat alone, it seemed like they all had there own set of friends. I tried to make eye contact and smile to get someone to just say ‘Hello’. it didn't happen and when I left the session I actually felt like I wanted to cry. Why is it so hard to make new friends? I’m almost 30 and for a long time I always thought that people didn't want to make friends with me because I was a bit younger than everyone else. But now when I think about it most of the Mums at the groups I’ve tried to be friendly towards are actually a similar age to me. I think because I’m quite short I possibly look younger than I am. I don’t know if it’s because we’re all set in our ways, or that because some of us take a friend along with us so we’re not alone and don’t leave ourselves open to talk to other mums and make new friends. For me it would be nice to have someone to talk to when going to baby groups as my son is still so young. If you’ve ever felt like this, next time you attend a group look around. Take note of that that one Mum that may be new and on her own and go over and say Hello. Remind yourself hat one time you were that Mum and you know how lonely it can be. Doesn’t matter if it’s your first child or your fourth, trying to make new friends is daunting and hard. We Mums should start sticking together. Welcoming new people into our friendship circles and giving each other a break. 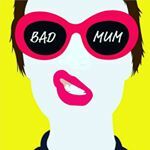 Being a Mum is hard at the best of times and we’re all experiencing similar things. If you’re worried about what you’ll talk about just look to your babies, they are your starting point! So ilI went back to that baby group a week later and to my surprise a lovely Mum introduced herself to me and made me feel more welcome. I’ve signed up for 10 sessions of this group and now feel I can go back with ease and not feel like a lost sheep. I noticed another new Mum joined the group too and I made an effort to speak to her so she didn't have the same experience I had the week before. Although these people may not become my friends outside of this group, at least I have someone to talk to when going to the group.